Think-cell chart has been specifically created for consultants and for those who create corporate presentations. One of the failings of PowerPoint is its inability to create a convincing data-driven chart. The process is long and repetitive, with a considerable amount of time spent not just creating a chart, but also manually placing labels, importing important graphical elements, etc. think-cell is a powerful charting package that integrates seamlessly with PowerPoint and can be individually customized to solve the above problems. 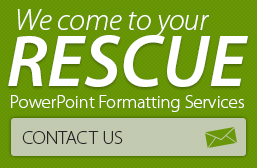 Contact us to learn about our PowerPoint Support in Think-Cell. think-cell chart is the only software that allows you to create complex timeline charts (also known as Gantt charts) as well as other charts such as Marimekko and waterfall, directly in PowerPoint. As seen in the preview the chart is completely calendar-based and supports a variety of decorations and labels. Dymanic excel-linking – If excel data changes, after you have inserted a slide in PowerPoint, then your chart is meaningless. However, think-cell chartmaintains all data links to Excel and moves all chart features for you when data changes. This tight integration fosters consistency and thereby prevents errors. think-cell chart completely integrates into familiar working environments. It is 100% compatible with most file formats of Microsoft PowerPoint and Excel. All charts are created as combinations of PowerPoint shapes and Microsoft Graph charts. If you pass charts on to others that do not use think-cell chart, they can still edit the charts as if you had made them with PowerPoint. It offers you the security of always keeping your valuable slides in editable form, even without think-cell chart. It gives you a lot of automatic options like adding totals, adding connectors, adding value lines, compound growth arrows, category difference arrows, and segment difference arrows. If you are thinking of using think cell for your info graphics development, then you find it too useful. Developing info graphics on think cell can be time consuming, and PowerPoint’s inbuilt features will just let you do this more quickly. If you are a TAG consultant, or if you do a lot of TAG-related work, then think cell won’t give you the style and the tidiness that TAG demands. It is best to stick to PowerPoint for TAG work. think cell won’t give you too much variety in chart design and formatting options. Arbitrary switches between chart types do not work and you will have to start from scratch to choose another type. As an exception, any data series can be switched from segment to line type, so it is possible to freely change between stacked, combination and line charts. Consultants will love the fact that they can create various PowerPoint charts like Gantt, Marimekko, waterfall etc., with minimum effort. As consultants must know, creating these charts on PowerPoint can be time consuming. Secondly, chart editing is easy. Most importantly, consultants need not rely on graphics experts. From a rough paper sketch to final output, they can create their own professional looking charts and still save time. Top-notch consultant group McKinsey relies on think-cell chart as a basic template creation tool for the type of slides used internally. Think-cell allows McKinsey consultants to concentrate their time on actual content whilst creating and manipulating any specific chart. These interactive templates are provided for almost every type of chart the firm uses and greatly reduces chart making workload. Currently, all customers lease think-cell chart. This lease is based on the number of users and has to be renewed every year. In addition to the right to use the software for one year, it includes all updates and upgrades and free and unlimited access to think-cell’s web-based and telephone 2nd-level support services. The think-cell partnership starts at EUR 945.00 per year (when ordered through the company’s customer portal) covering small teams with up to 5 individual users. See a list of our services at a glance. 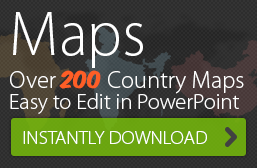 Did you know 24point0 creates editable PowerPoint products? Visit our presentation product site, you might find a ready made product that fits your PowerPoint presentation need.